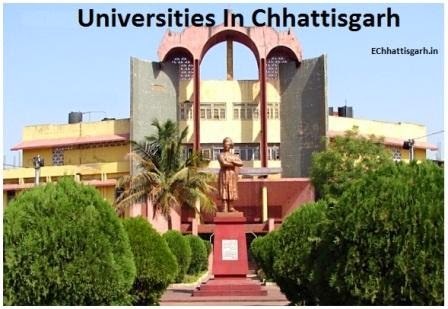 In Chhattisgarh there are one central university, ten state universities and six private universities. Read full article below to view detail list of universities. Bastar Vishwavidyalaya, jagdalpur, Distt. - Bastar.